Hello again everyone! Jennifer here! It's good to be back posting for the VLVS DT! I have several things to touch on today! First...what do you think of my card above? I was thinking SPRING but wanted something more than just spring...I thought this was kind of cute...I was diggin' the yellows and oranges! The ducky has so much personality! He can be found HERE over at the online store. The stamp is called Sneakered Duck and it's a 2X4. 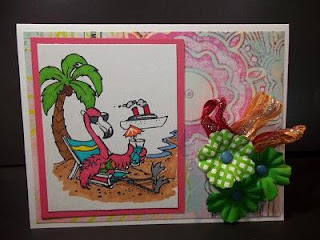 There is still time to check out the BLOG CANDY we have going on over at Viva Las Vegastamps! Read about the VLVS Blog Candy HERE. BUT HURRY!!!!! We NEED 125 followers by April 30th! I must remind you about one of the BEST products Viva Las Vegastamps has right now! It's taking the crafting world by storm! It's called Miracle Tape and I know I mentioned this 2 weeks ago both HERE and ON MY BLOG but I cannot say enough good things about this product! My most favorite part is that it is so durable and PERFECT for those heavy-duty projects! I LOVE using it on ribbon and heavier cards with many layers of paper and embellies! A few more things about this project...I wanted to make mention that the textured yellow paper that is just underneath the digi stamp clip is actually the backing of a random embellishment pack. I have been reusing those as often as possible. I LOVE that most of the companies are making the backing of the packaging interesting, patterned, and/or textured now! I used Crayola paint pens and markers, zig zags, Martha Stewart flower stickers, Bazzill Paper/Cardstock, DCVW Paper, Stickles, and Sticko Vellum Stickers. AND...I am excited to report that I'm stocked about the upcoming projects and products for May! Be sure to swing by often! Visit My Blissful Place Blog, too, when you have time! I would LOVE to see you there! Have a great weekend! Hello again blogworld!! Just as happy today to be posting for Viva Las Vegastamps as I was 2 weeks ago!! I know I ranted and raved about the Miracle Tape that Viva Las Vegastamps! has to offer already, so this week I thought I'd show you something super fun to do with it. No.. it's not using it as an adhesive, believe it or not... or at least not in the traditional sense. 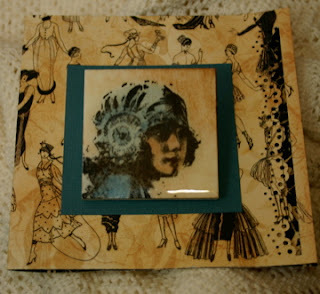 I want to point out the gorgeous stamp I used on this piece, also from Viva Las Vegastamps! 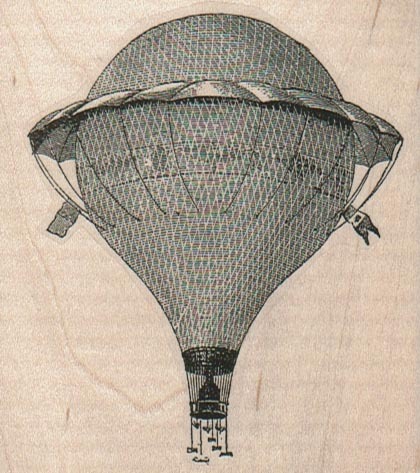 ; this fantastic Balloon (3x3.25") item 15950. - I also embossed the balloon.. look at all the detail on that baby!! Imagine if it was just ink and not embossed, such a great great CLASSIC image! Item #15950 from VIva Las Vegastamps! Other products used; a doily, DCWV paper, plain cardstock, a dymo label maker, distress ink, tulle, 3d dots, eyelets, and embossing powder. I based this card off of the weekly sketch that I host at my own blog; UmWowStudio. P.S. Don't forget about the blog candy when Viva Las Vegastamps reaches 125 followers!! only THREE more days to go!! I made a pin and pendant from one of my favorite rubber stamps from Viva Las Vegastamps! I used ecoartboard, a double sided art board for rubber stamping sold by Viva Las Vegastamps! I used Tim Holtz distressed ink with a nib to color in the design which was stamped with Staz-on ink. 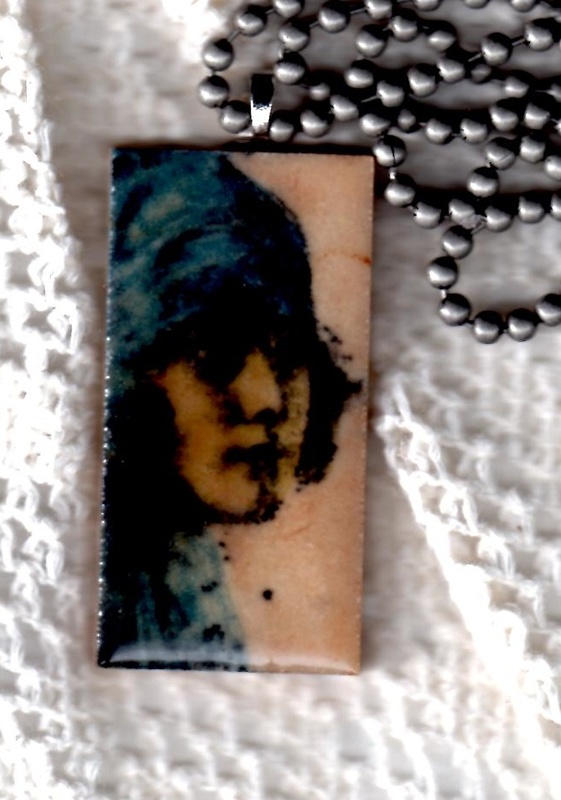 I then covered my project with Judikins enamel resin and baked it in my toaster oven. I attached the pin to a gift card for a great gift idea. The stamp I used is #16086 for this pendant as well. This stamp is also perfect size for an ATC by itself. When I first saw this stamp from Viva Las VegaStamps!, I had about 10 caption ideas. I love working with VLVS stamps because they have the same sense of humor as I do and loads of vintage images. The above artwork is just one of those many ideas. Here's the backstory: The wife is getting ready for her first party after her marriage. She is in her brand new kitchen, but doesn't have a clue how to cook!!! She has burnt everything and her new husband walks in...all she could think was, "Honest, I didn't burn the beer!!!" 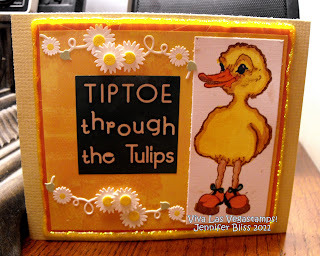 For a step-by-step tutorial with photos visit my blog: Cre8Tive Compass Magazine. 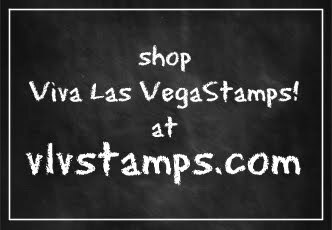 Please visit Viva Las Vegastamps! and see the thousands of designs available. Also visit the other VLV Design Team members and tell them I sent you! Jennifer Bliss: Jen's blogYou can also find our work on Stamp Art Forum. Viva Las Vegastamps as well, you can find it here. If you haven't already browsed at Viva Las Vegastamps, what are you waiting for? There is also free shipping for the entire month of April! Woohooo...more money for stamps! If you know me you know I love dogs! When I saw this stamp I just knew I had to have it to make cards with. You have been to the Viva Las Vegastamps! site to buy stamps right?? Image was stamped in black versa fine ink. Colored with Copic & Bic markers. All my background papers are from my stash or scraps. The little dog print brad was the perfect final touch! Now head over to the Viva Las Vegastamps! and get stamps!! Hi there! My name is Jennifer and this is my first featured project for the VLVS DT Blog! I would LOVE it if you would visit my crafting blog located HERE. I made a card using one of the stamps I received in their Pound O Rubber Pack I got this past month! I ended up getting some really FUNKY stuff in there BUT it's stuff you CAN'T get ANYWHERE else!!! Really unique, rare, and one-of-a-kind rubber stamps! VERY COOL and VERY FUN! I ended up getting a few different faces in my pack and at first I wasn't sure what to do with some of them - I'm not much of a girlie-girl after all - but once I stamped this image on test paper the ideas started flying! I have to admit this is something NEW for me! On many levels! First I not only used several different mediums here including distress ink instead of regular ink and colored pencils, watercolor pencils, craft markers, and art chalks...I also smudged a few spots which I don't usually attempt because I haven't been good at it in the past but it seemed to work here. Another interesting thing about my project here is - the part that looks like a chin is actually how I cut the rubber stamp from the rest of the rubber stamps in my pack...it's not actually the chin! It was some stray ink from the left over rubber part of the stamp but I really liked the way it looked after I smudged it so I kept it that way! I'm very pleased with the way the eyes and lips turned out here! The blush is strictly art chalk...again something I have more recently started to tinker with. Check out the Pound O Rubber HERE! You'll LOVE IT!!! Many of the girls are going CRAZY over the Miracle Tape...and rightfully-so! I mean, check this out! MIRACLE TAPE!!! It sticks to EVERYTHING! Foam, plastic, glass, metal, wood, paper...you name it! Since I used many layers with this card and used really heavy paper for most of the layers - in addition to it being thick - the Miracle Tape worked AWESOMELY! I'm so excited to be a part of this team! And I have a new way of looking at Rubber Stamps thanks to this awesome company! Swing by their online shop or in person next time you are in Vegas! You won't be disappointed! Hello All!!! DeeDee here and I am so excited to be here posting for Viva Las Vegastamps!! I feel very honored to be part of the team, and am absolutely in love with everything they have to offer. I bought mine rubber only; unmounted with no cling.. the price is to DIE for, and it's super easy to make your own cling at home with double sided tape for a clear acrylic block.. if you're not ready to make your own cling you can still purchase the stamp at a great discount unmounted but with cling adhered to it. Or.. if you prefer they come wood mounted, too!!! I based my piece off of a sort of naval, beachy, water, exploration theme. Besides the stamp, I used Miracle Tape for my adhesive (also available at Viva Las Vegastamps!)... and I have to tell you.. F.A.N.T.A.S.T.I.C. --- When I was in college I grew accustomed to using painters double sided tape for everything... it adheres to all things.. foam, plastic, glass, metal, wood, paper.... and that's what Miracle Tape reminds me of. Besides using it on this project I did another side project and the tape held my designer paper (you know how thick that can be) to the wooden frame AND kept on the back plaque. Not to mention it comes in ALL widths; 1/8", 1/4", 3/8", 1/2", 3/4", 1", 2" AND in a 3 pack of 8.5 x 11" sheets. Other products used: recycled cardboard packaging, TH Distress Ink, TH Distress Powder, TH Alcohol Ink, old book pages, map graphic, Fancy Pants Designs paper, raffia, fake netting ribbon, small starfish, bead caps, adhesive backed cork round and a lost and found fish charm. There are tons of other great water themed stamps that would accompany this well... including a gorgeous map background stamp which would be a great substitution for a printed graphic! Holly Santa for Viva Las Vegastamps! When I find a new stamp I love, like this Holly Santa from Viva Las VegaStamps!, I want to experiment and see what looks I can get. I've included two of my series of my favorite experiments using this stamp. You can see a third on Sakura craft design team block, where I used Crystal Lacquer to give dimension and gloss to the beard. On the card above I used a technique I love. I took a white Color Box pigment ink stamp pad, a small brush and some water. I put a small amount of water on my brush using an almost dry brush technique where I dip the tip on the pad and paint it directly on the card. I do this several times until I get the effect I want. With the holly I used watercolor pencils. 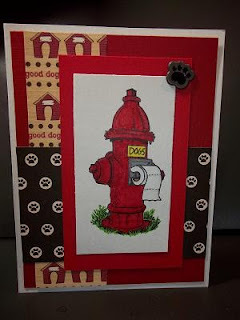 The papers I used in this card are by Melissa Francis. On the card above I used "pebbles" brand chalks and very small cotton balls in a holder also produced by Pebbles. I love how different this stamp looks with different techniques. I still have a card I made with Stickles that I will save for later. Keep watching. Leave some love, comments are welcome. 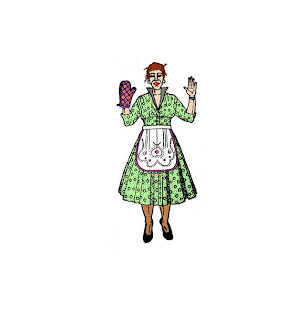 "Dressmaker Dressmaker Make Me a Dream..."
I am Rebecca E. Parsons and this is my first design for Viva Las Vegastamps! I am honored to be on their new design team. I love dress forms and this VLV Dress Form stamp (6388) inspired me to create an artwork that honors the time worn tradition of dressmaking. I design all my cards to be frameable pieces of art for the recipient. They just need to insert this in a 8X10" frame and hang it to enjoy forever. 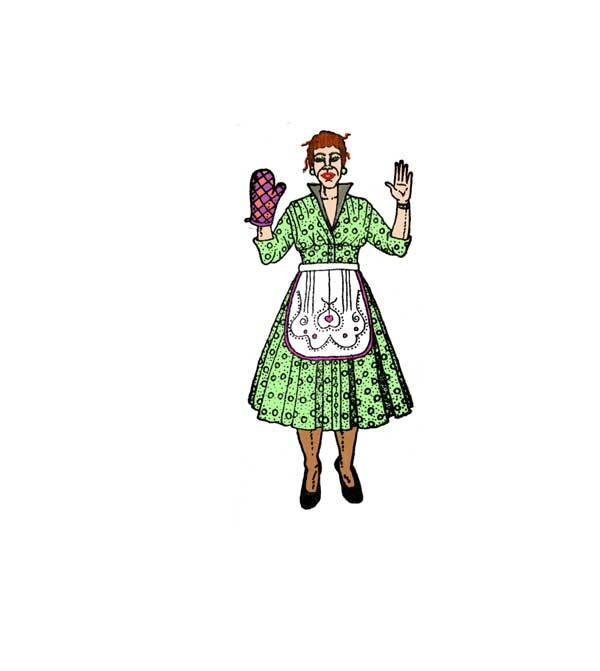 The artwork is titled: "Dressmaker Dressmaker Make Me a Dream..." It is in honor of my grandmother Annie Niland who taught me how to sew on a Singer treadle sewing machine when I was just a young girl. She had an old dress form in the corner of the sewing room and the bits and pieces in this collage are all reminiscent of that time I spent with her. I stamped the image on a piece of heavy watercolor paper with BRILLIANCE Cosmic Copper pigment ink by Tsuneko. I did free-motion stitching with black thread and my sewing machine in an oval shape around the image. This was very random allowing the stitches to show and create texture and depth. Next I began to collage bits and pieces to accent the image and the theme of dressmaking. I used old pattern tissue, an antique button, an old tape measure, etc. I glued the pieces down and sewed around them again to secure the tissue. I removed the shank from the button and hot glued it in place. I then went to work on the background. 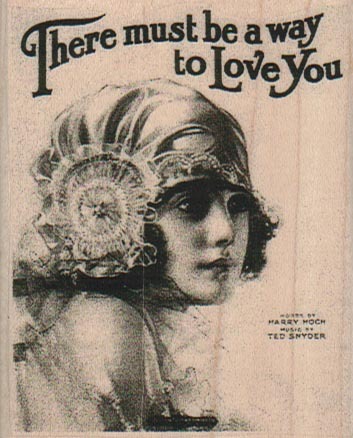 I had this Vintage Black Harlequin cardstock (no longer available) from The Paper Studio in my stash. I cut and frayed the edges of some cream colored burlap and glued it on the front of the cardstock at an angle. I am so excited today! 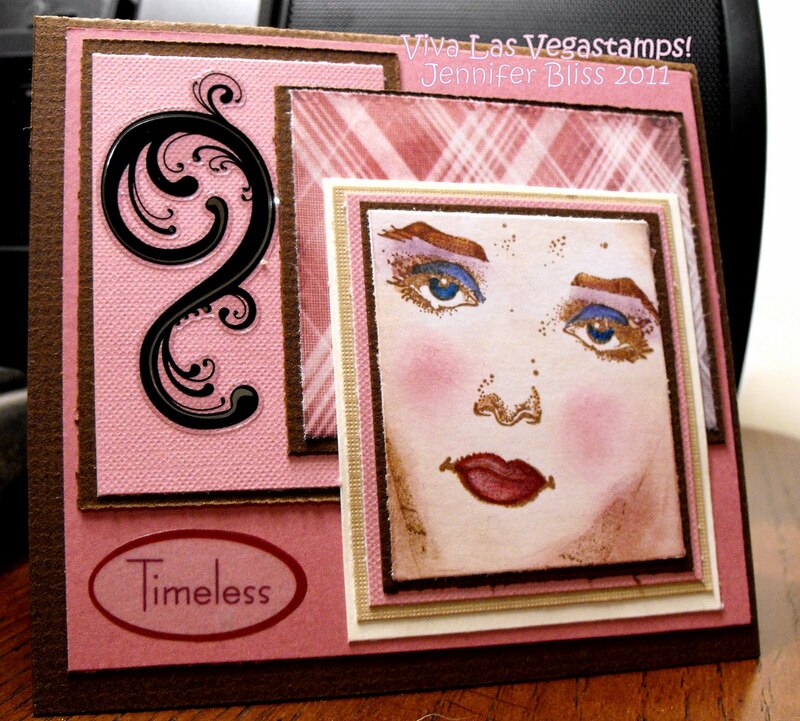 This is my first official post as a Design Team member for Viva Las Vegastamps! When I saw these stamps, The Woman and the Sentiment, I had to have them! I was laughing at the ideas that came to me for a card. I started off by stamping the woman image on glossy paper with Ancient Page Black Coal ink. I then coloured her in with a watercolour brush, a bit of water, and Tombow markers. She was then cut out and sponged with distress inks. She is layered on patterned paper, then the sentiment was stamped on the same paper, then cut out, and layered on. If you can't see the sentiment well, it says, " I'm ashamed of what I did for a Klondike Bar". 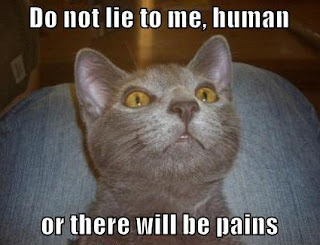 LOL, this just makes me giggle. You can also click on the picture to see it bigger. I love how she is looking up and holding herself, like she really is contemplating what she did! I also used Miracle Tape from Viva Las Vegastamps to hold the card together! Wow, that stuff is amazingly strong! I can see myself using it for all sorts of different things. If you click on any of the highlighted words in this post, you will be taken to the Viva Las Vegastamps website, and to the stamps I used. Just laying around on the beach!! I would LOVE to be there right now instead of here in cold Michigan. As I made this card it was snowing outside! Mother Nature is being very mean this Spring!! I stamped in Black Stazon ink. Colored with Sharpie & Bic markers. Background paper is a scrap I pulled out of my bins of scrap paper. Added some blue brads to the centers of the flowers, then stuck them on with Glue Dots. I made a few ribbon loops out of some very pretty Sari ribbon I found at a little shop in town. If you have not been over to Viva Las Vegastamps today what are you waiting for?? April Fool Sale at Viva Las Vegastamps! Click on title or go to http://ymlp.com/zmQ3pU to read our latest Newsletter and get details on FREE shipping for the month of April as well as other exciting updates from Viva Las Vegastamps!